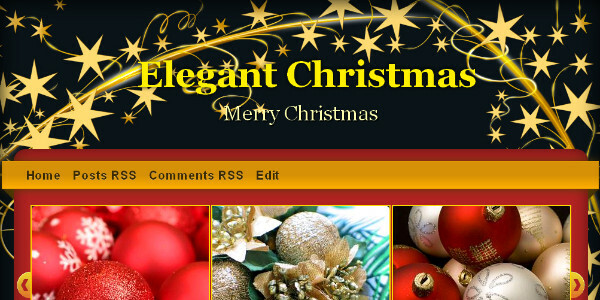 Best Blogger Templates Style - Elegant Christmas Is A Two Column Seasonal Blogger Template With A Right Sidebar.The template has a bright festive color scheme with lots of Christmas decorations and icons.You can download The Elegant Christmas Blogger Template for Free from BestBloggerTemplates.Net. - Video Tutorial How To Download And Install A Blogger Theme. - Blogger / Blogspot Tips, Gadgets and Help From Our Blog. Comments Encouraged - Drop Your Comments, Views And Questions Below !